Before drawing the human figure it is very useful to draw certain parts of the body separately, such as the foot, the hand, the neck etc. The reason is that these are complex details whose construction should be well understood. In the video you can see a sketch of a foot, in which the emphasis is on the construction of the foot. 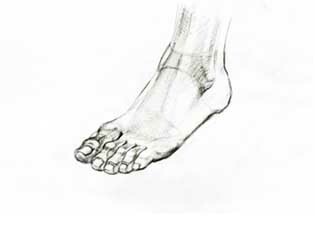 We strongly recommend studying the anatomy of the foot before attempting to draw it. 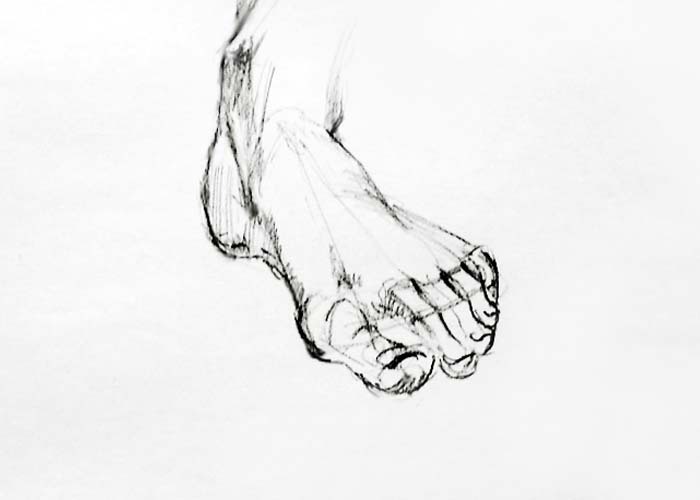 Try doing several drawings of the foot from different viewing angles.